You are here: Home » Uncategorized » What Do VOCs Mean when Going Green? What Do VOCs Mean when Going Green? “Going green” means that you are thinking about the environment as well as the health of your family when it comes to using products with VOCs. Making your home green doesn’t mean you need to start over by building a new home but may involve remodeling with green in mind. Contractors like The Novak Group know that this is the way a lot of people want to make changes and can help you with ideas for making it happen. There are some simple choices you can make to decrease the amount of potentially harmful products used in the home. The first one that comes to most people’s minds is the use of paint. 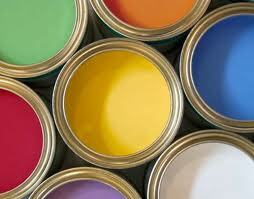 Many paints contain what is known as VOCs or volatile organic compounds. A VOC which is a solvent is used in paint as a carrier for the pigment. This carrier is what helps the color to spread and stay on the area being painted. When an area is painted you get a lot of the smell or the solvent being released into the air. After a while the strong odor from the paint may be gone but that doesn’t mean that the solvent has been totally released. It continues to be released into the air. Not only are VOCs in paints but can be found in many products that are used in the home. Some examples include cleaning products, pressed wood (used for low cost bookcases), tables, or as counter tops, lacquers, and thinners. This is just a few of the items in which these types of solvents are used. The good news is that there are alternatives that can be used and that have been found to decrease the amount of toxins released into the air. The EPA understands that there the problems with VOC use in products and works to set limits on its use in the products we use today. This doesn’t mean that they have regulated them out of the products but have set what they feel are acceptable levels. For many people this isn’t enough to feel that you are going green and providing the safest environment for your family. The paint producing companies are aware of this and are working to find alternatives and use safer levels but you may still want to do your part. Talk to your remodeling contractor about what paints are the safest to use in your home remodeling projects. Going green doesn’t mean that everything is thrown out and rebuilt. There are few people that could afford to do this and it would be wasteful to boot. What it does mean is to be aware of the products that we use in our home. Remodeling can make a difference when working toward a green home. Look at products that are sustainable and help you reach your green goals. 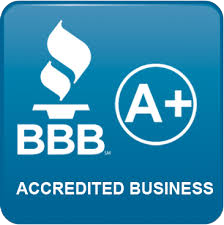 Look for low or no VOC products including paints you will be using inside the home. The environment and family will thank you in helping to protect them from the unseen dangers that we face in today’s environment.